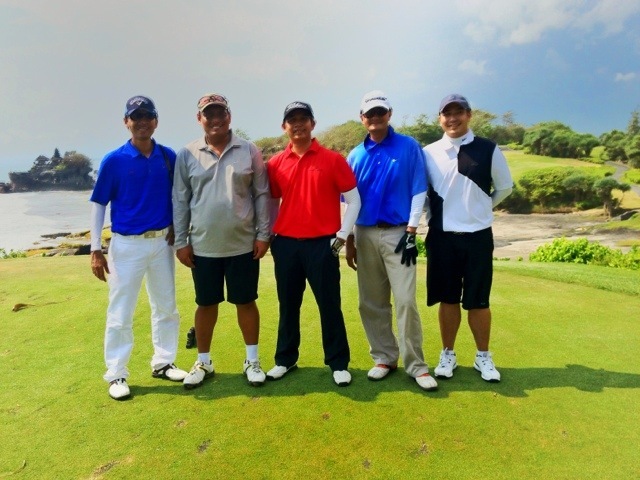 One of our main reasons to do this trip: to play golf in arguably best golf course in Indonesia: Nirwana Golf Club. Here we are, took picture in front of its signature hole, a Par 3 Hole 7. Great fun.